“The basis of Futurist art is dynamism”, Malevich states in Artology, where “dynamism” is concerned with the motion of bodies under the action of forces. So “the Futurist does not show the movement of objects, but merely reflects their dynamic force” or their dynamic movement in order to capture the shape of these forces. Malevich goes on to say that the “Futurist is interested only in objects having dynamic content”, and for the artist this is a dynamic sensation, an experience of dynamism. 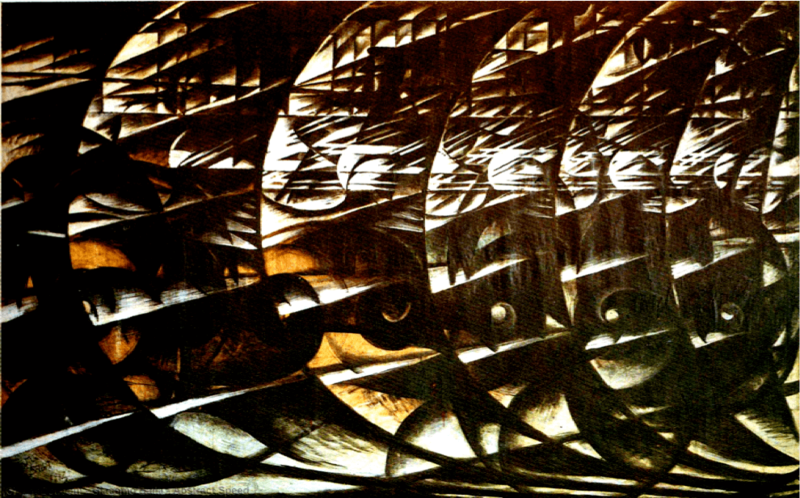 Thus the artists were interested in motor cars, locomotives, factories or battles, with the aim to record kinds and qualities of dynamic forces. Malevich distinguished several kinds of dynamism – that of human power, celestial energies such as the atmosphere, the machine, swallows in flight, and kinetic forces. The subject matter of all these works is to convey the shape of the forces, revealing how the dynamic sensation permeates not only the artistic elements but determines the structure itself of the work. 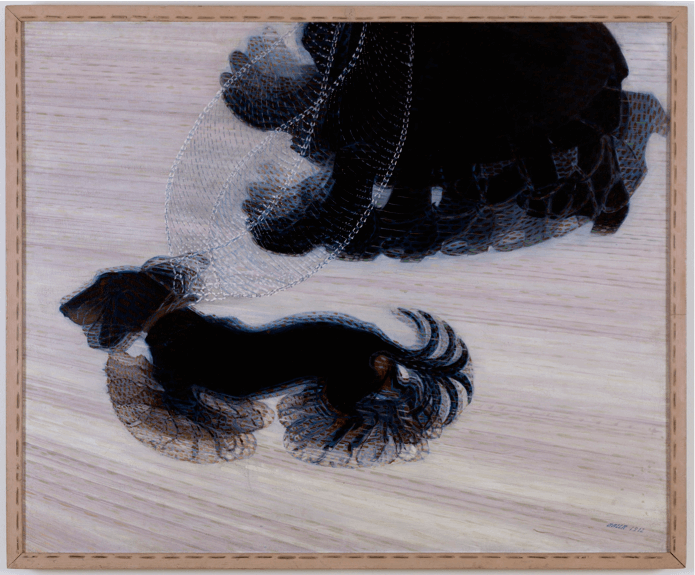 That is what gives the spectator a dynamic sensation when observing the work. 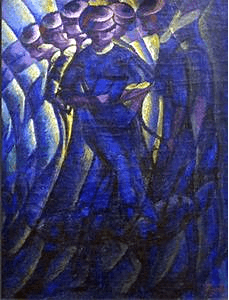 Malevich begins with the sculptures by Umberto Boccioni and the human power they exude. Malevich takes Boccioni’s sculptures, Muscles in Movement (1913), Synthesis of Human Dynamism (1912), and Unique Forms of Continuity in Space (1913), and describes the inner “dynamic tension” and “dynamic force” exuding from these works in the forms and in their relationships, saying that the “same whirlwind state and [the work’s] content is the same”. 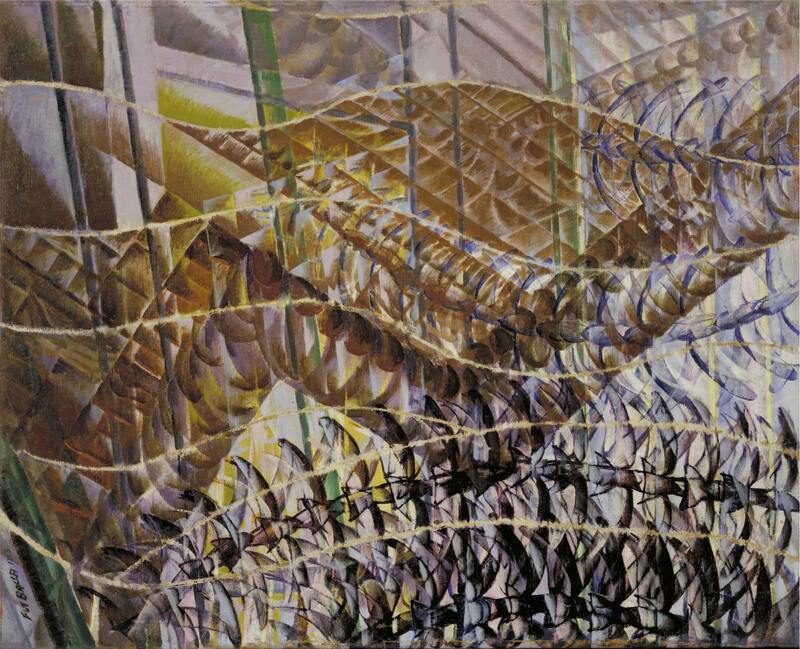 In other words, Boccioni has captured the pure dynamic content which “is the nature of the phenomena themselves”, and is so powerfully communicated to the viewer. They convey a “structure of abstract dynamism in the movement itself”, abstract because the dynamism merely passes through the forms and animates them. This is true dynamic sensation. The two paintings, reproduced below, are said by Malevich to have their “point of departure [in] the body of a machine in motion [the automobile]. But this is only the point of departure and many lines diverge from it. 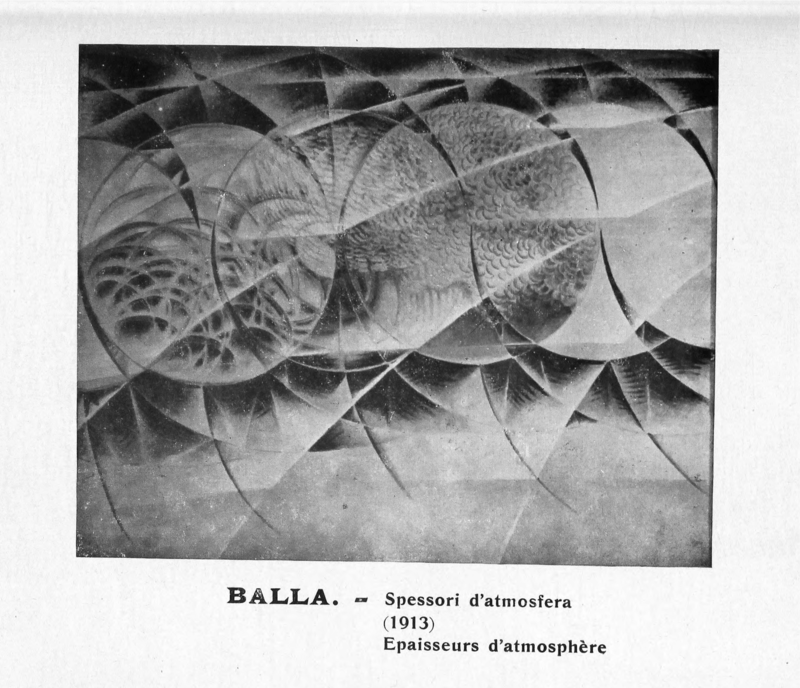 They acquire that form which gives the power, as it is sensed by the artist.” And in the structure, there is “a formula containing a certain strength… and we perceive their structures as the structure of a body of abstract strength.” Again, by “abstract”, Malevich is referring to the force passing through the elements which produces their arrangement. 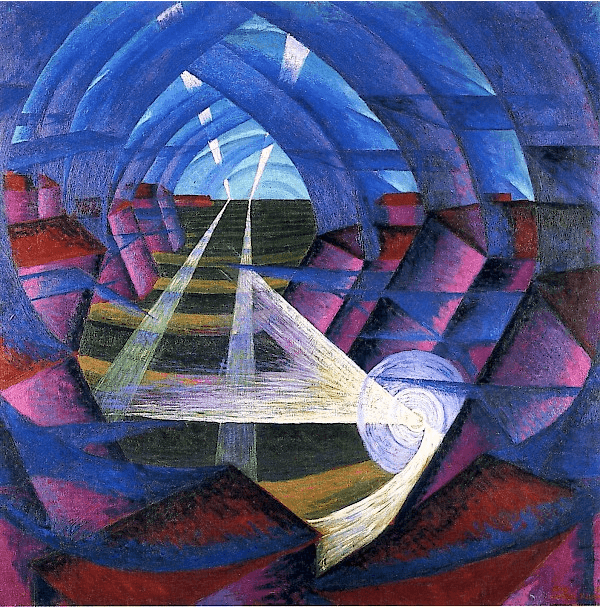 Thus, the structure portrays the painting’s dynamic content and the artist’s dynamic sensation. 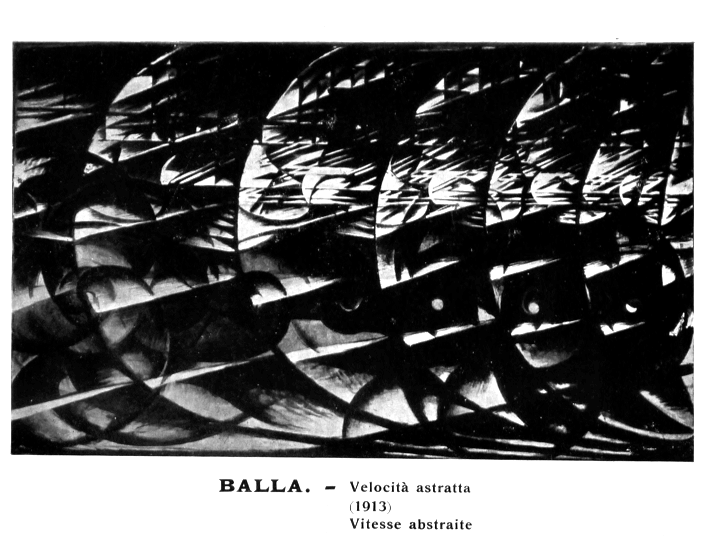 The machine at the origin of both Abstract Speed and Plasticity of Light + Speed is the automobile, on the theme of which Balla did a number or works. Common to these two paintings is the reflection of light thrown onto the windscreen of the car which now provides patterns of reflections, complemented by the repetitive shapes, a flashing effect seen when a body moves through space. 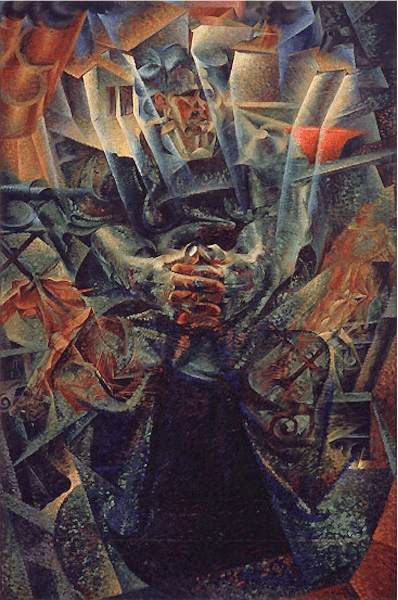 Linked to these kinds of forces but in the arrangements of particles of colour as particles of matter, Malevich considers a painting by Boccioni of 1912, Matter. 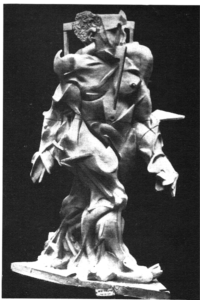 About it he says that the artist “attempted to dissolve this body into a whole number of forces or structures” and, “being dissolved, [the figure] has grown into his environment in spirit as well as body”. Malevich considers this a fusion of the material body with the “body of the universe” depicted as particles in which “we sense the power that we call dynamic”. 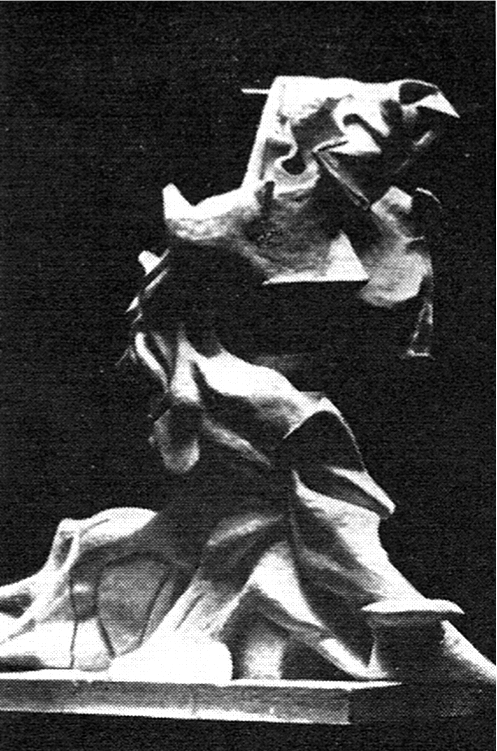 U. Boccioni, Matter [The Artist’s Mother], 1912. Gianni Mattioli Collection, Milan, on long- term loan to the Peggy Guggenheim Collection, Venice. 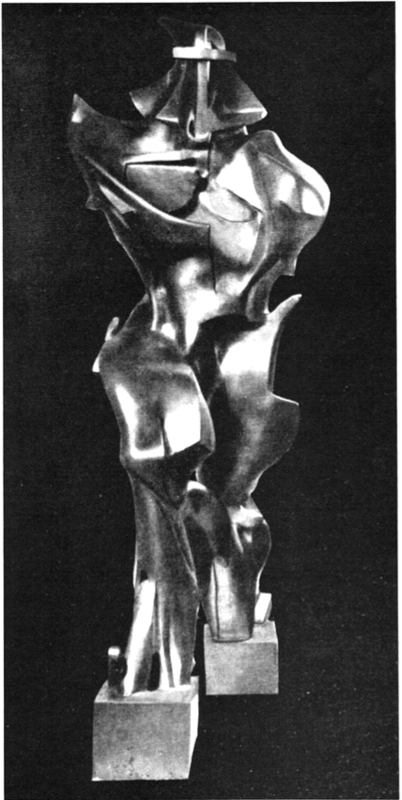 In, Plastic Synthesis of a Woman’s Movement, the movement of the woman is captured in a number of repetitions, each from a slightly different angle, the result being that the “content of this is movement” alone, as Malevich concluded. 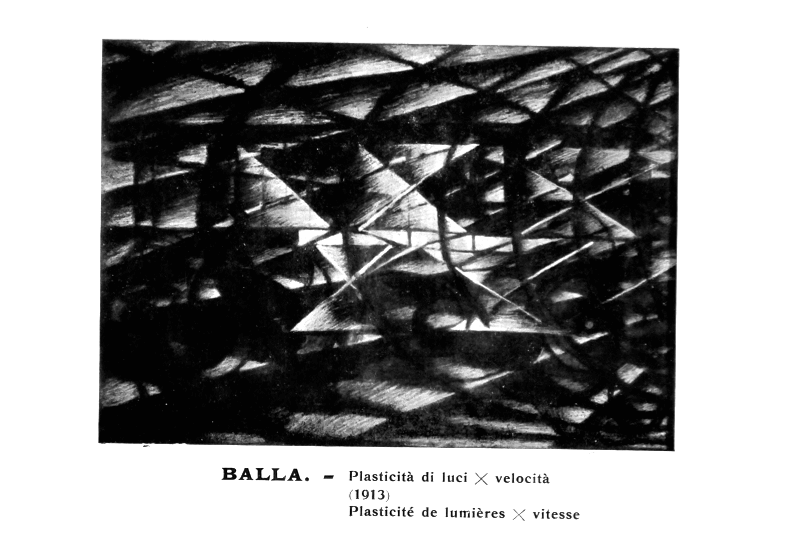 To apply this method of conveying movement to light and sky by repetitive patterns in order to capture a kinetic movement, Russolo made the light in the sky appear to vibrate with energy. Buckets are structured with their kinds of movement, while Goncharova’s Electric Lamp radiates lights and the patterns of cables captures the energy of electric passing through them.